Dr. Copper which depicts the growth of the economies has been doing quite well, thus we can expect growth in this quarter. Dr. Copper - Is Copper a good investment for long term? Why is Copper a top pick? Traders might be jumping to create a long position at Copper but before you move ahead, read why this would be the best time to wait and look at creating short positions. Copper prices might actually crash soon on dismay over the apparently inadequate stimulus for commodities accorded by China this year for its own recovery. Few researchers believe that demand of Copper would be high with increasing demand in electric vehicles. You may come across few researchers who say that we growing public transport in emerging economies, would impact Auto sector and we may see decline in sales. 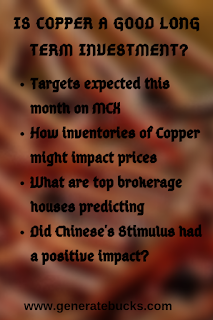 Seems like Dr. Copper never seems to be out of picture and is favorite topic for debate for commodity industry. 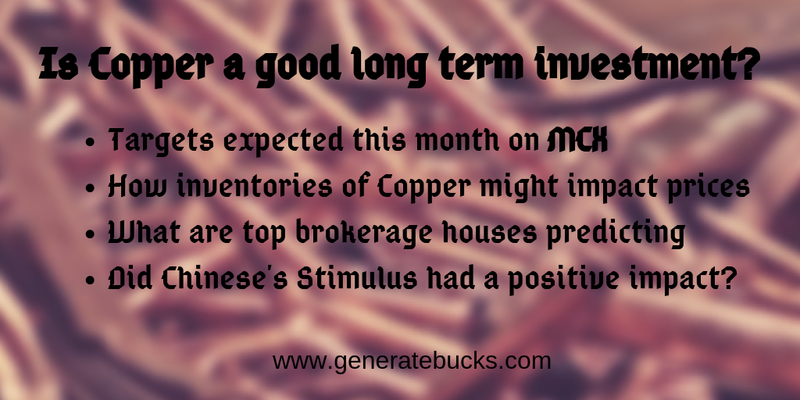 This quarter is expected to be volatile for Copper and you can see Copper frequently as our daily hot pick. 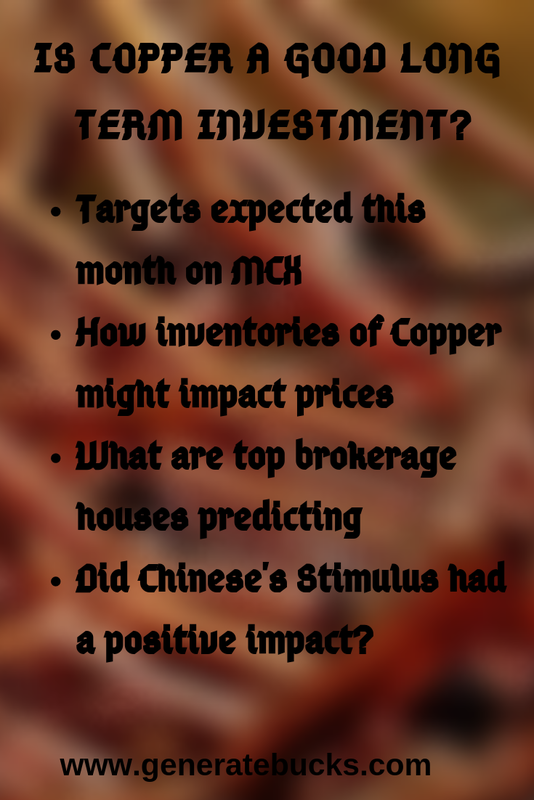 With US-China trade talks things are looking quite positive for base metals this year but top brokerage houses think otherwise. Copper has been trading in range for some time and we can expect this trend to continue till end of next week. Copper is in positive trend with short term bearish trend. It has a strong support at 442 and resistance at 455. Intraday traders should follow the range and trade. If you have any questions, feel free to drop a comment below or contact us. Is Copper a good investment for long-term? Sir what position should i take in zinc in april contract ??? Please email us for quick response. You can check the home page of the blog where we top intraday tips.